Tourists come from all over the world to enjoy the Tuscan wine roads. Can you imagine that there are 14 as a whole? Let’s discover them! Our trip starts in Pontremoli, going to Fosdinovo and to the famous Castello di Malaspina. Afterwards, we drive to Carrara, then we go to Massa and Capanne. This is the most northern wine road in Tuscany and the wine you can find in this area is the Candia, a very light white one, lovely for fish dishes. Lucca is the first city to visit; then, from Santo Stefano we go towards San Quirico di Moriano to arrive at the Ponte a Moriano. From here, keep going over Colle, Valgiano and Gragnano, until Montecarlo. This road is located south-east from the Candia wine area and it is famous for its white and red wines. This road has an ancient origin and goes around the Province of Pistoia and Florence to the small Province of Prato. 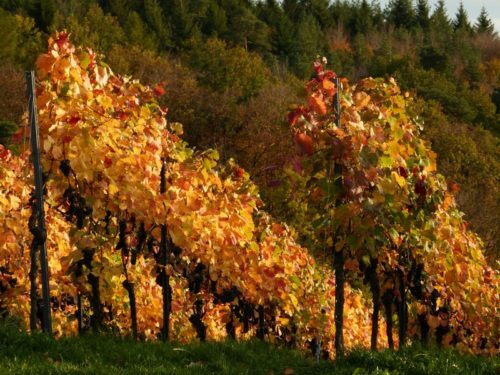 In towns like Poggio a Caiano, Artimino and Carmignano we will find DOC’s wines such as the Barco Reale di Carmignano, the Carmignano Rosato or the Carmignano Rosso as well as the Carmignano Rosso di Riserva. The starting point will be Pontassieve sull’Arno towards Rùfina. We will reach the Medici-villa Poggio Reale, where is located the Museo della Vite e del Vino. After a visit, we can go on to Londa. This is the first wine road ever developed in Tuscany: direction South-East from Florence, between the Mugello and the Casentino area, on the border with Emilia Romagna, inside the area of the red wine Chianti Rùfina (DOCG) and the white wine Bianco Pomino (DOC). From the famous town San Miniato, well-known also for its white truffle, we will gently pass over the Pisan hills towards Pisa. In this area is renowned the red wine Chianti and the Chianti delle Colline Pisane (both DOCG). Other DOC wines of this area are the white wine Bianco Pisano di San Torpé and the Colli dell’Etruria Centrale. Montespertoli is far 30 km South-West from Florence; here we can find the Chianti di Montespertoli and the Chianti Colli (both DOCG) and the Colli dell’Etruria Centrale (DOC). The whole area around Florence includes the Chianti Colli Fiorentini (DOCG). Here in the area worth a visit is the Florentine family Antinori’s “cantina”: this wine-cellar is famous all over the world! Direction North-West from Siena and our trip will begin with the historical San Gimignano. The nexttown is Pancole, then Libbiano,going North-East. Here the real white wine Vernaccia di San Gimignano and the red wine Chianti Colli Senesi (both DOCG), together with the red wine Colli dell’Etruria Centrale and the white wine San Gimignano (both DOC). South-East from Florence we arrive to visit an area pretty famous for its DOC white wine, such as the Bianco Vergine di Valdichiana. Also the red wine Chianti DOCG is produced here. From Cortona, the landascape of Valdichiana (Chiana Valley) and Lago di Trasimeno (Trasimeno Lake) will feed your eyes as the hills and peaks of Monte Amiata will do. Driving north, we reach Castiglion Fiorentino and Arezzo, a town with Etruscan origins. From Montecatini Val di Cecina we will pass through Montescudaia, Cecina, Bolgheri, Castagneto Carducci, Sassetta, Suvereto, Campiglia Marittima, Venturina until the harbour of Piombino. The DOC white wine Bianco della Val di Cornia (Suvereto) is the king, here. This wine road continues up to the Island of Elba, covering the whole island. Here the white Bianco L’Ansonica and the red Rosso Aleatico are to taste, together with the famous Sassicaia dei Conti Incisa della Rocchetta. The Sassicaia is by many clapped as the best Italian wine ever. This road starts North at the thermal spring Terme di Bagnolo. The next town to visit is Monterotondo Marittimo; then Massa Marittima and Scarlino, until reaching the coast (Follonica and Castiglione della Pescaia). It is possible to go backwards, passing through Vetulonia with its Etruscan necropolis, and then Gavorrano, Montemassi and Roccastrada. The DOC red and white wine to try is Monteregio di Massa Marittima. Part of the four existing Maremma’s wine roads, it is a trip inside the Maremma and through the Monte Amiata’s area. This area winds between Val d’Orcia (Orcia Valley) and Valdichiana (Chiana Valley). The road starts in the north with Abbadia going towards Montepulciano, Cervognano, Acquaviva up to S. Albino. After two years, the wine here can be called Vino Nobile di Montepulciano DOCG: it is one of the most important Italian wines. Very tasty is also the Rosso di Montepulciano DOC. In the south of the Province of Grosseto from Capalbio towards Magliano in Toscana we drive along until reaching Scansano. The famous Morellino di Scansano DOC was born here and it is a red wine of a very intense colour. From Scansano, again up North until we reach Istia d’Ombrone. Going backwards, there is Pitigliano and its white wine Bianco di Pitigliano. In many cases, all these small villages represent the most famous historical villages of Tuscany which attract a lot of tourists. Here you can find caracteristic accommodations such as farmhouses or scattered hotel (look at this). This entry was posted on Thursday, December 11th, 2014 at 3:27 pm	and is filed under Italian Recipes and Food. You can follow any responses to this entry through the RSS 2.0 feed. You can leave a response, or trackback from your own site.